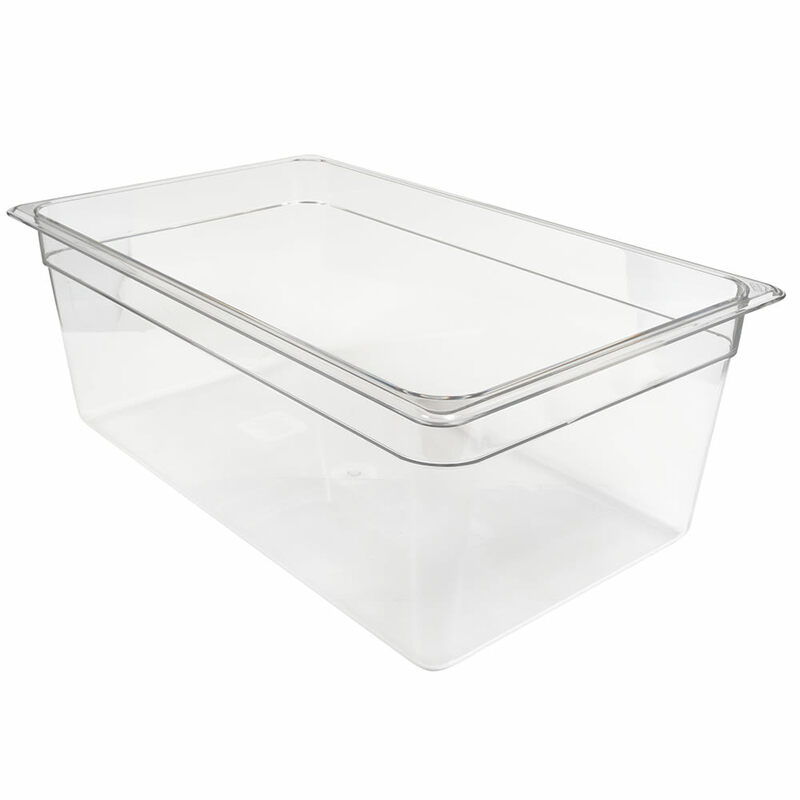 The Cambro 18CW135 Camwear® full-size food pan is made of a clear material that provides product visibility for users to quickly check inventory. Dents, cracks, and chips are resisted with the durable polycarbonate construction. The smooth, non-stick interior reduces waste while making the pan easy to clean. 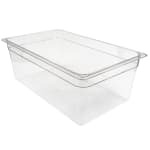 The Cambro 18CW135 Camwear full-size food pan has a uniform 1⁄2-inch flange that fits in most prep tables and food bars.